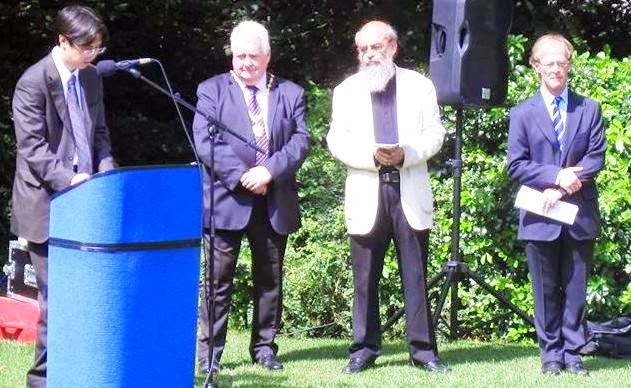 The threat of nuclear warfare hangs over all conflicts, including Gaza, and Israel had a “stockpile” of nuclear weapons, the President of the Irish Campaign for Nuclear Disarmament, Canon Patrick Comerford, told the annual Hiroshima Day commemoration in Dublin. 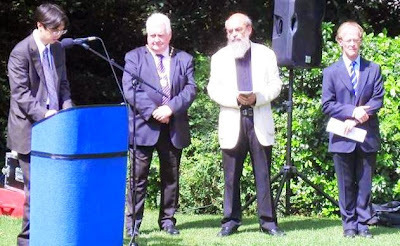 He was speaking in Merrion Square, Dublin, at Irish CND’s commemorations of the 69th anniversary of the atomic bombing of Hiroshima. Mr Naoki Yoshimura, first secretary at the Japanese Embassy in Dublin, said similar ceremonies were being held all over Japan. The poet Hugh McFadden read an anti-war poem about the bombing. Speaking before the ceremony, he described all wars as “tragic failures of politics and diplomacy”. 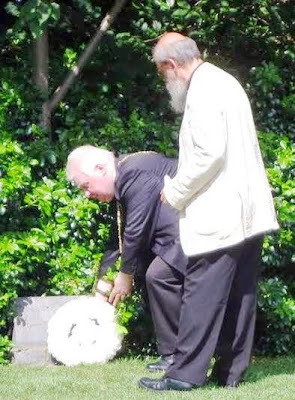 The Deputy Lord Mayor of Dublin, Councillor Larry O’Toole (Sinn Féin), laid a wreath at the memorial cherry tree planted by Irish CND in 1980, followed by a minute’s silence and music played by traditional Irish and Japanese musicians. Mr O’Toole said that what happened in Japan 69 years ago was happening again in Gaza. “Defenceless, innocent people are dying,” he said, adding that he had been “overwhelmed” by the number of people in his constituency expressing concern over the situation in Gaza. He was “ashamed” of the Government’s inaction, he added. “We can’t let this day pass without calling for the Israeli onslaught to be ended permanently,” he said. The other speakers included Dr David Hutchinson-Edgar, chair of Irish CND.